As Christmas day so vastly approaches, all the festivities have already started. Whether it’s your themed holiday office party, a small gathering with friends you haven’t seen in a while, or holiday school parties. Themed holiday parties are always the best, not only are they fun, but people get to show off their creative side. 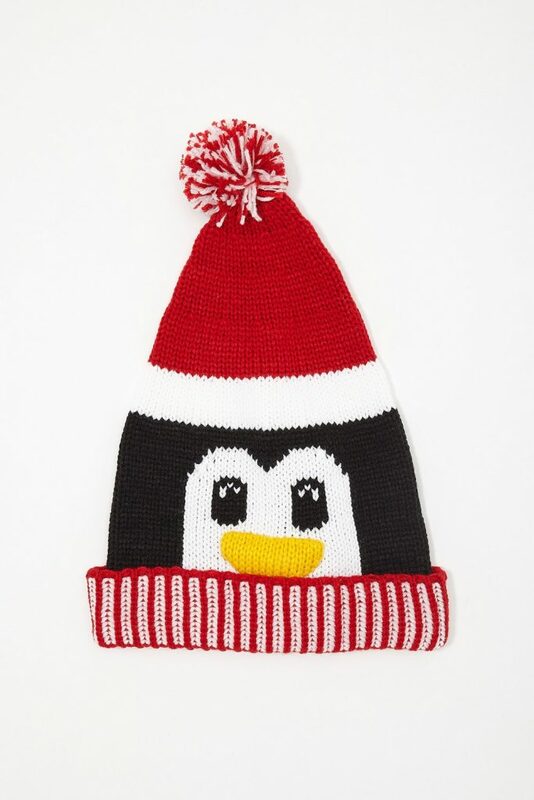 Head over to Urban Planet to shop for all the ugly Christmas essentials for a fun, successful holiday party. 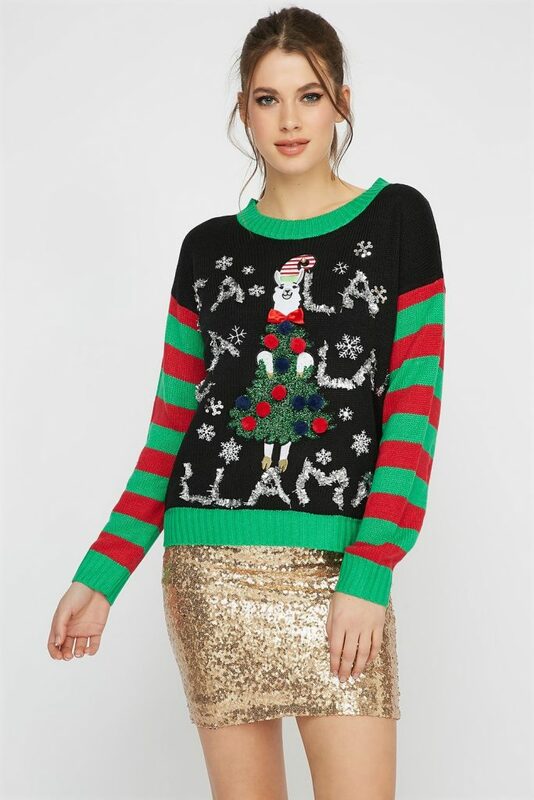 Match your sweetheart to the party and wear ugly Christmas sweaters. 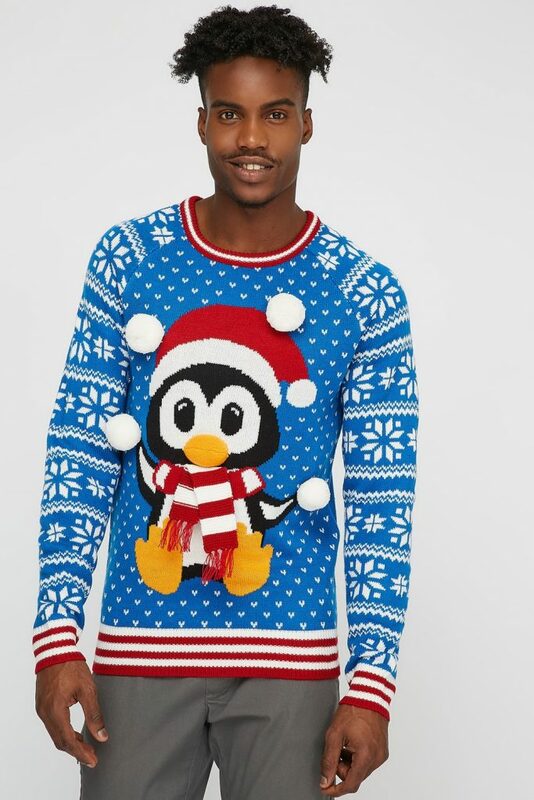 You can go for the traditional ugly Christmas sweaters with printed reindeers, snowmen, festive penguins, Christmas lights, or trees. 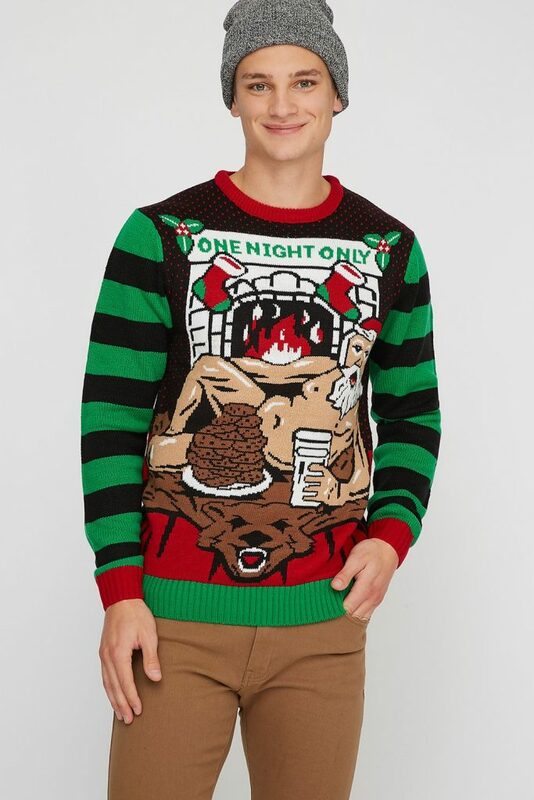 OR if you really want to be the talk of the party and have everyone in laughter, go for the Santa one night only ugly Christmas sweater – which has a picture of naked Santa by the fireplace eating his milk and cookies. 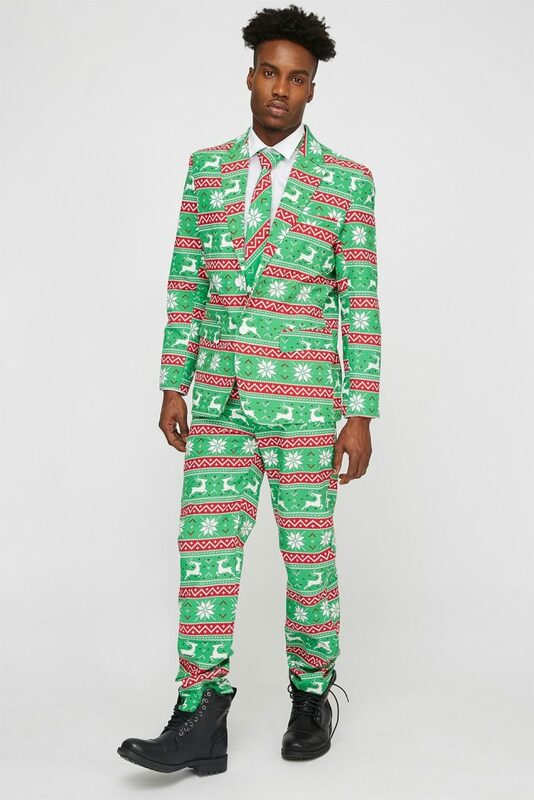 Christmas ugly suits are perfect for holiday office parties. 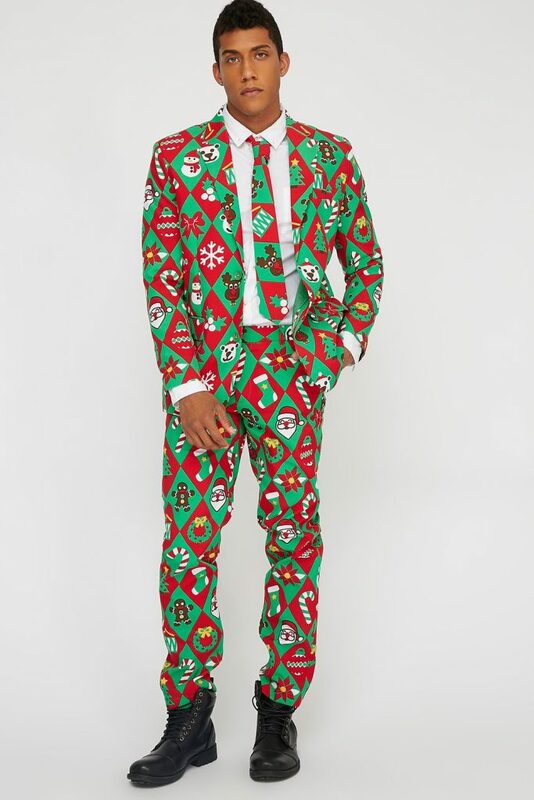 You’re dressing up for the occasion while still showing off your holiday spirit. You’ll have all your bosses talking, what better way to make a good impression than by showing off your fun and daring side. 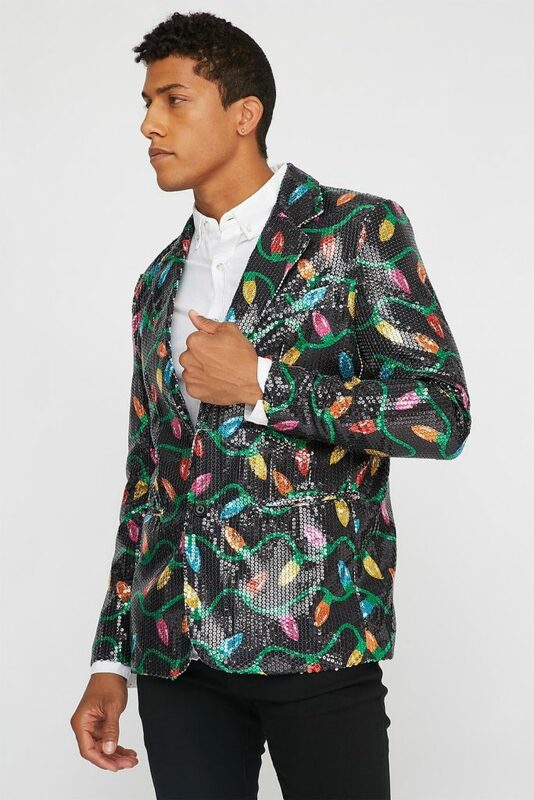 If you don’t want to go all out with an ugly Christmas suit, but still want to show your holiday spirit – opt for a sequin ugly Christmas blazer. 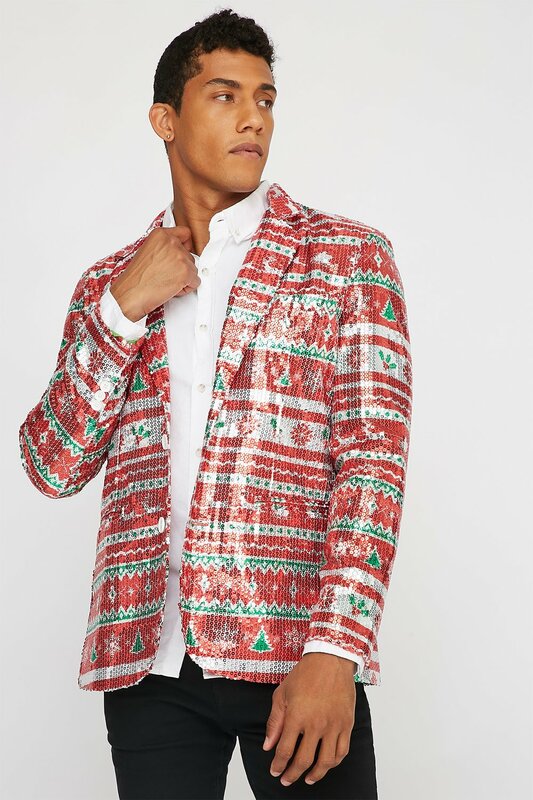 You can choose from blazers with candy canes, Christmas ornaments, Christmas lights and more. Who said the girls can’t have fun too – with ugly Christmas dresses. 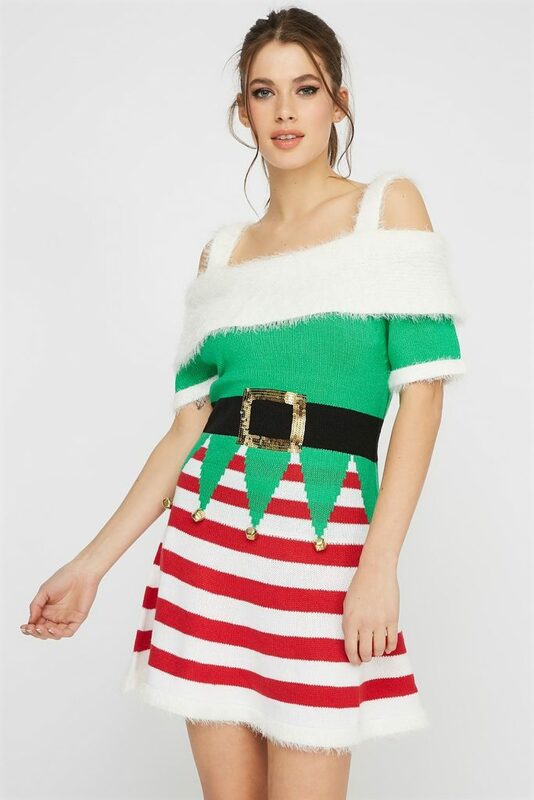 You can go to the party as Mrs. Claus, a jingle elf, or maybe a candy cane. Whether you’re going to a holiday office party or a gathering with friends – these dresses will have you looking the part for any Christmas event. 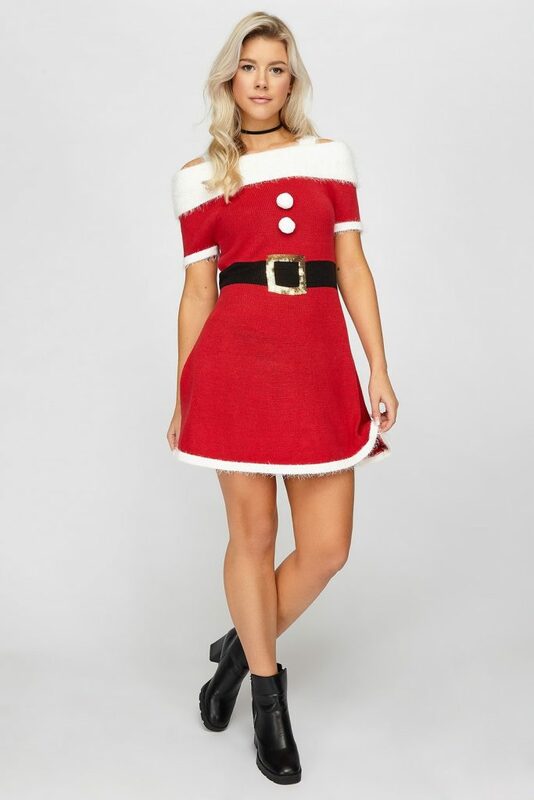 I would go for the Mrs. Claus sequin dress and add some black ankle boots to my look. If you’re more on the simple side and don’t want to look super extravagant at your holiday party. 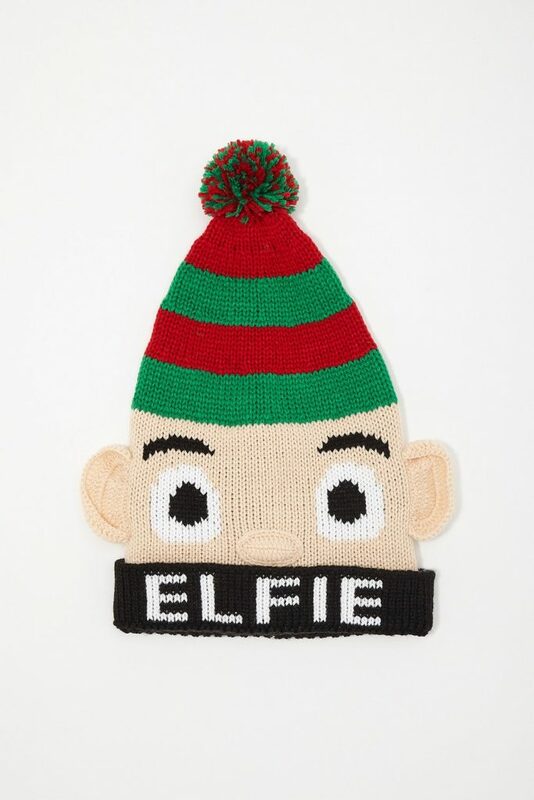 You can opt for ugly Christmas socks or a beanie. 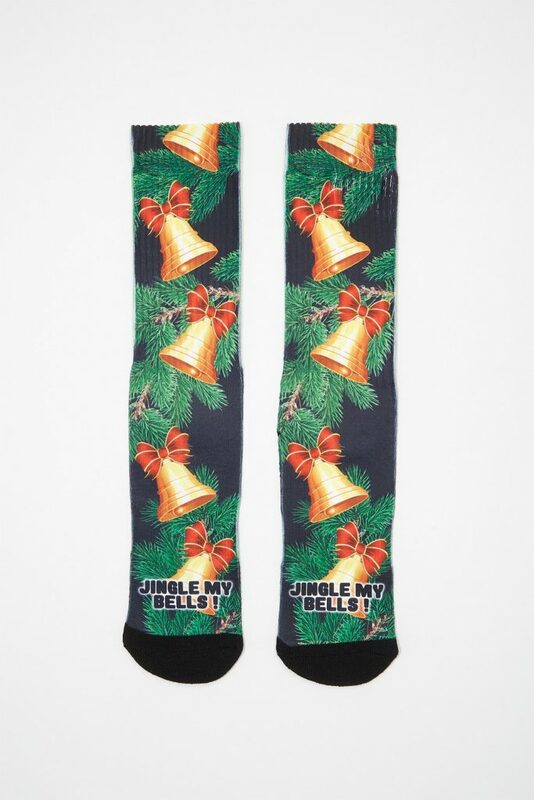 Try wearing Christmas colors like green and red to match with your Christmas socks or beanie. Or you can even go to the party in all white and let your socks or beanie stand out.